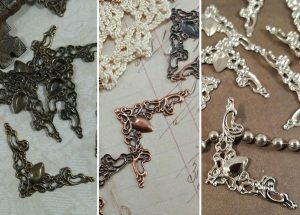 These beautiful bronze filigree elements are great for anyone interested in jewelry making, scrapbooking, greeting card making, making mini albums, and many other crafts. 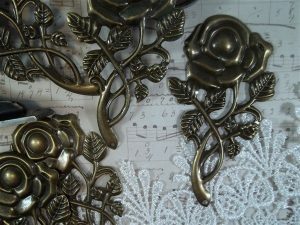 They are perfect for scrapbooking, and can be used as an accent to dress up a scrapbook page, or layered under a flower. 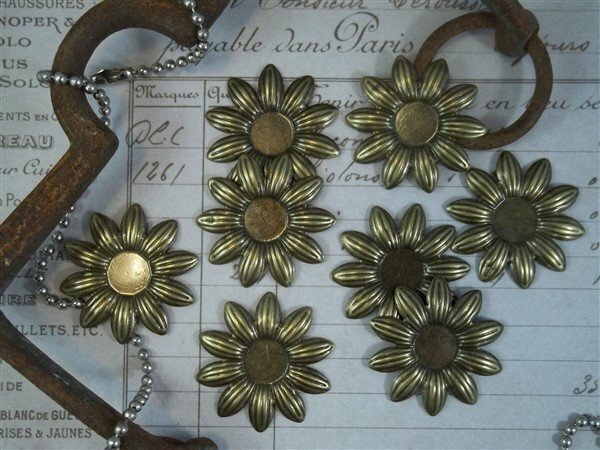 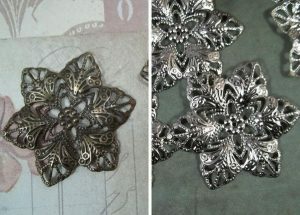 These embellishments fit a 12mm round cabochon.